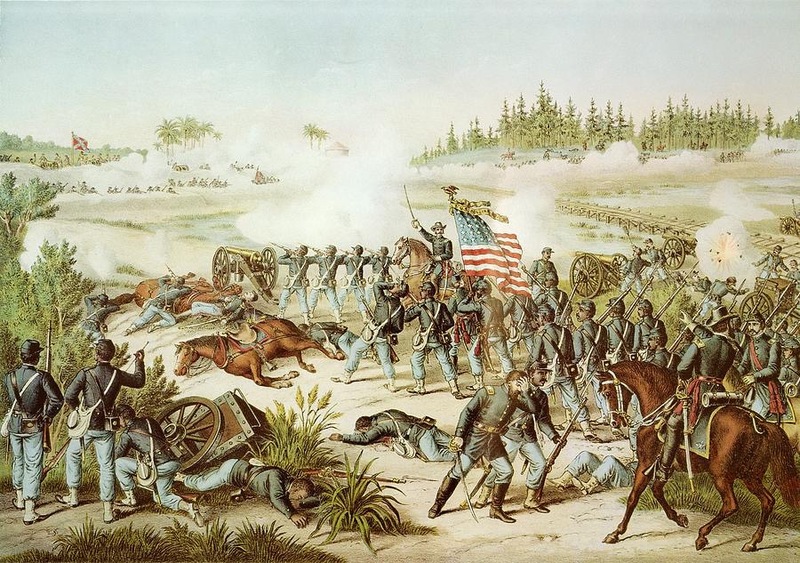 The Battle of Olustee, was fought on 20 February 1864. It was the only major battle of the Civil War, fought in the state of Florida. Union troops, 5500 strong, led by General Truman Seymour, landed in Jacksonville, and moved towards Tallahassee, in order to disrupt Confederate supply lines, mainly the rail lines. 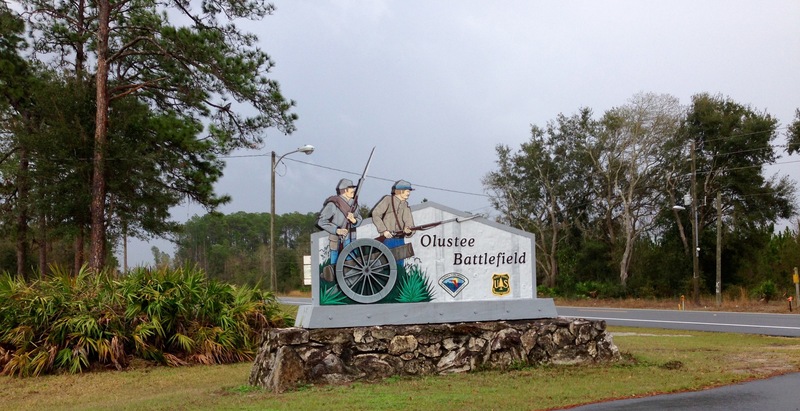 There were 5000 Confederate soldiers, led by General Alfred Colquitt, dug in near the town of Olustee. The two armies crashed into each other at Ocean Pond, in one of the bloodiest battles of the war. 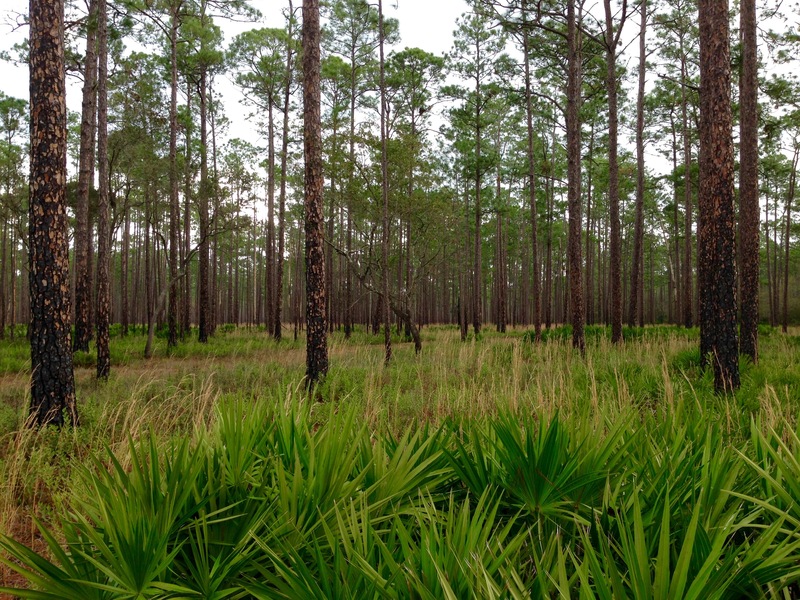 The Federal army was funneled in between swampy areas, where the Confederates had built up sturdy earthworks. Still, the Federals looked like they could win the day, when several events turned the tide. Fighting was fierce on both sides. At the end of the day, the Confederate soldiers held their ground, but suffered 946 killed and wounded, and 6 captured or missing. The Union force suffered 1861 killed or wounded, with 506 captured or missing. 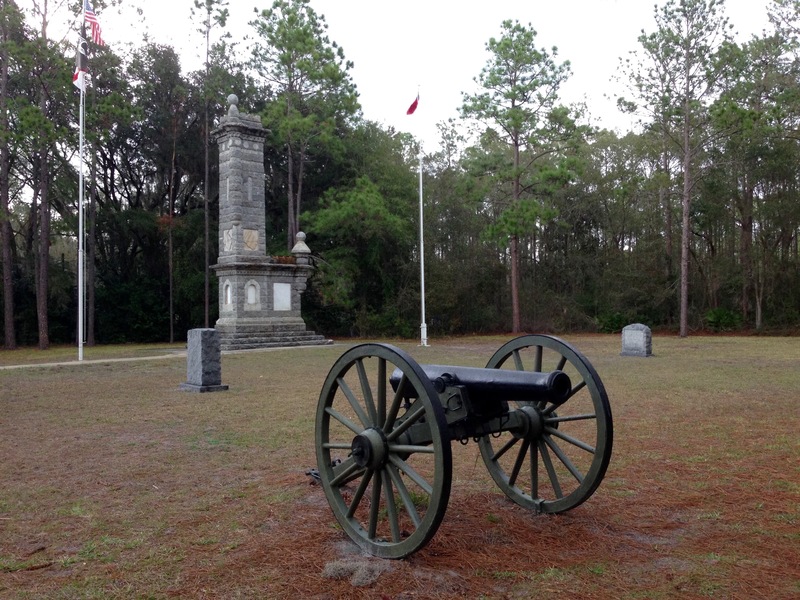 While in Florida, I visited Olustee Battlefield. 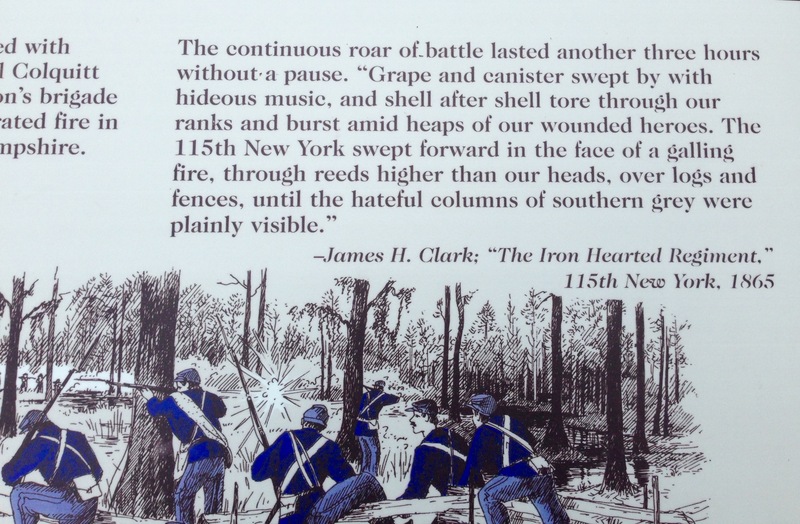 I had stopped by the Olustee Depot for details on the battle, and the National Forest that surrounds the area. Ocean Pond now has a popular campground. There is a small museum on the main road into the battlefield, and an interpretive trail that follows some of the troop movement. It was a sketchy day to be hiking about, but I did the battlefield trail anyway. There was a line of thunderstorms across the Florida panhandle and Georgia. When I left the Depot, I knew that we were already in a tornado watch area, and that there were tornadoes sighted just north of the Park. Still, I figured I had until 4pm, when things would get nasty. The rain was spotty, but when it came down, it came at me sideways. The wind howled, and thunder rolled all around me. 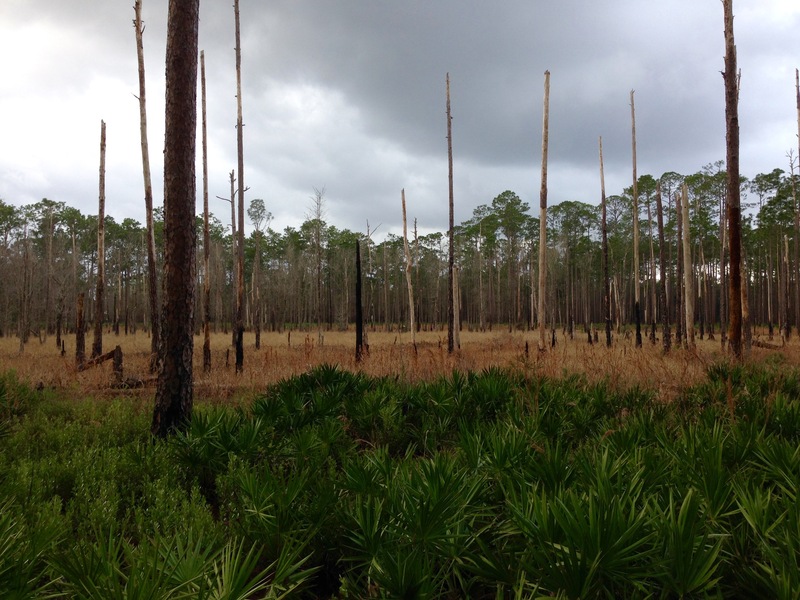 Out in the middle of the swamp, was a lone bell or chime, clanking endlessly in the wind. It was an eerie addition to the old battlefield. If the cover today was anything like it was in 1864, there would be little to hide behind if you were a Union soldier marching in on the entrenched Confederate force. Ferns, and a lot of tall pines. Every year, near the battle’s anniversary, a reenactment takes place on the site of the Civil War battle. It is suppose to be one of the most vivid one’s out there. So much so, that movie producers have filmed the reenactment for their Civil War movies. One film that contains footage shot of the reenactment is “Glory”. This entry was posted on Monday, February 20th, 2017 at 3:38 AM	and tagged with civil war, florida, olustee, photo, travel and posted in history. You can follow any responses to this entry through the RSS 2.0 feed. Hi there! Glad you enjoyed your visit to the battlefield & park. If you’re interested in last weekend’s reenactment, please check out my blog post and pictures!